Shopping for Toy Story Action Figures? You have a friend in Woody! From the classic Toy Story franchise comes this Woody Hybrid Metal Figuration-067 Action Figure that is made of die-cast metal materials and plastic. 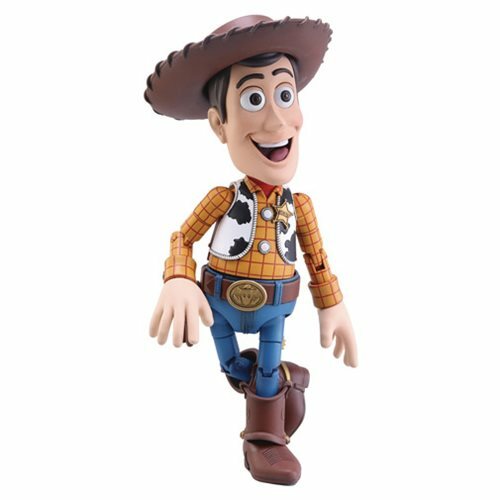 The Toy Story Woody Hybrid Metal Figuration-067 Action Figure features multiple hands and expressions, as well as acsessories like his hat and bouncy ball! Woody is fully articulated and stands about 5 1/2-inches tall.